AustriAlpin COBRA® quick releases buckles are, without equal, the world's safest, most finely crafted, and strongest load bearing quick release fasteners available. 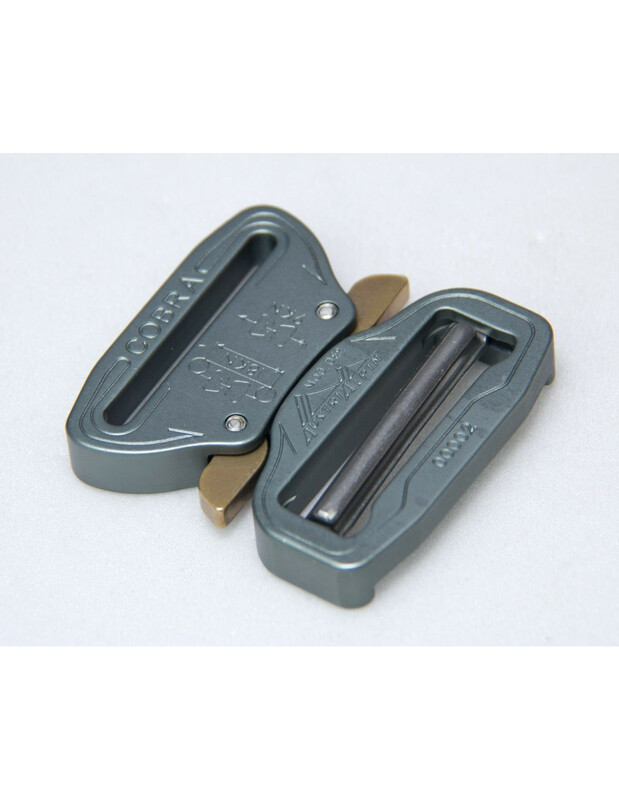 They are also the only stab-lock style fastener in the safety products market that will not open while under load. That makes them the best choice (we believe, the only choice) for ensuring the highest degree of safety for yourself or your customer. Cobras are CNC machined, assembled, inspected, and packed (re: from alpha to omega) in AA's ISO 9001 approved facility. All Cobra products are tested and certified by highly respected independent /3rd party test houses and exceed Mil Spec guidelines for dust / sand / salt water as well as CE, CSA, ANSI, and NFPA standards. AustriAlpin's superior designs and commitment to quality guarantees the highest degree of reliability and assurances for safety and strength. NOTE: The black we offer is the matte black, 1.75"+ versions have XL release clips, and width refers to webbing slot size, not overall buckle size.